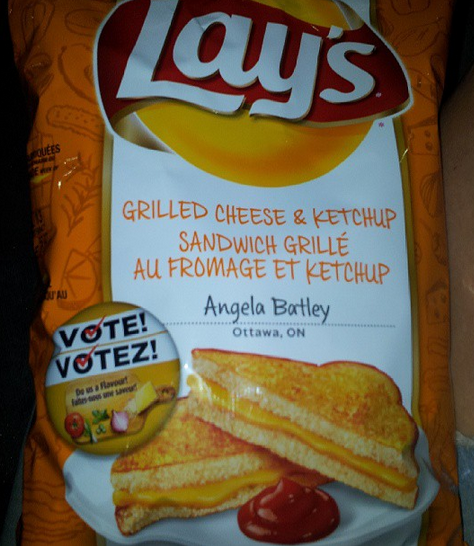 Ottawa’s Angela Bartley is one of four finalists in a potato chip contest run by Lay’s. I found a bag of the chips at the Loblaws in Kanata. 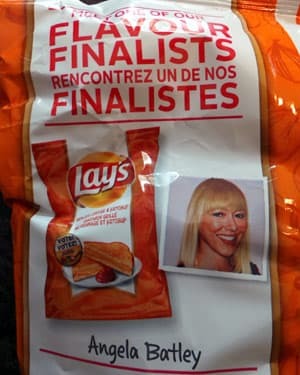 (On the day I was there, there were fewer bags of Bartley’s chips on the shelf than the other four flavours in the contest.) How did it taste? It was an accurate reprsentation of a grilled cheese sandwich dipped in ketchup. 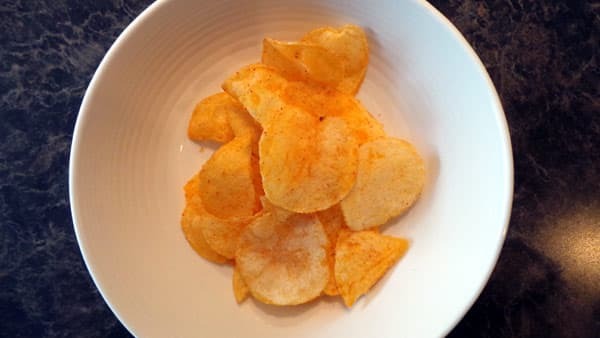 A mix between cheddar chips and ketchup chips. Not bad at all. If you liked this post, you should ** subscribe to etcetera , ** our free email newsletter. Featuring cool Ottawa events, interesting local news and contests and giveaways. Thanks!